Family Watchdog encourages parents and caregivers to talk to their children about their bodies and how they should be respected, private and secrets should not be held. There are so many stories of children being inappropriately touched by relatives or people close to their family and being told to keep a secret. In fact nearly NINETY PERCENT of child sexual abuse is by a person known to the victim. This is why talking to your child is so important! This was taken from a Facebook post from a friend. Something to consider when talking to your small children about their private parts. Let's honestly chat for a second...who was the first person to talk to you about your private parts and how they work? Was it a friend or neighbor? Was it an older sibling or cousin? This could be a super controversial topic, especially in this day and age, but I wish I would have seen more parents speaking up about this so I'm going to do it now. I want to be my children's advocate, and I want to meet their curiosity with REAL answers. I want to teach them to value, honor and respect THEIR private parts, as well as, OTHERS. I want them to know that things that are private are to be treated with SPECIAL care. Which does not make them LESS honorable, but MORE honorable. Teaching my children these values doesn't come by waiting around for someone else to expose my children, or have the conversations that I feel called to have with them. I NEVER imagined or thought that this conversation would be one I NEEDED to have with my FIVE year old, but over the last few months it became clear that it was time to sit her down and give her REAL answers. I'm not going to lie I was nervous to have the birds & the bees conversation with my FIVE year old, but ya'll if not me, WHO?? Will it be the television, a commercial, the kid on the bus, the neighbor next door, a relative, the best friend who learned from their older sibling? We knew it was time, so last night we had family take our little guy....Husband and I decided to do it together so our daughter knew she was safe to confide in both of us over ANY sacred topic! 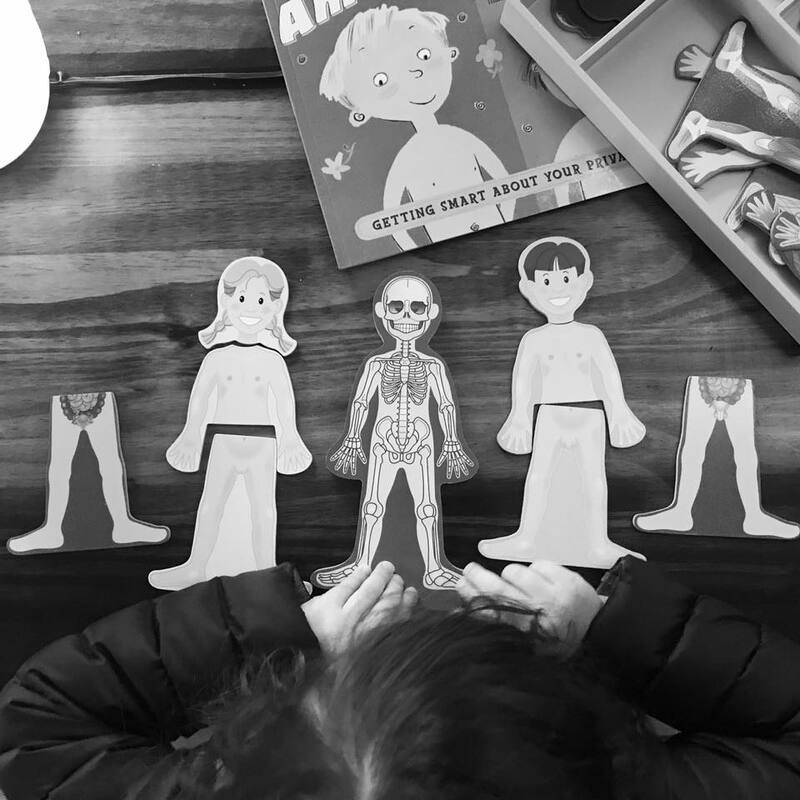 We told her over the past week that Monday night she would get to go on a date with mommy AND daddy, and that after, we would do a special study on the human body!! She was pumped!! We took her to a local coffee house where she got to pick out whatever treat she wanted! Then we came home where I had mirror standing next to the table with the words 'AMAZING YOU' written on top. On the table was a magnetic puzzle from Melissa & Doug (I used these throughout our whole conversation...I kept seeing something like this in my head, and it was definitely what pulled everything together)! We also read 2 books, 'Amazing You' and 'What's the Big Secret' (in each book we omitted one page in our reading, otherwise they were perfect)! We then ended the night with a little movie!!!! I know we will never regret sharing openly and honestly with our daughter about her body, and why it's important to value, honor, and respect both hers AND others with such special care!